2018 was a significant year for ETRO Construction and its founder, Mike Maierle. 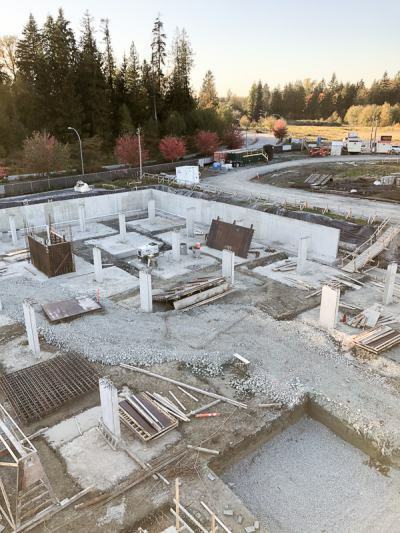 Among the industry accolades they received, ETRO and Maierle were winners at the 2018 VRCA Awards of Excellence, and Maierle was also named to Business in Vancouver’s annual Forty under 40 list. These successes are a forward move from where Maierle and his company were just three years ago, when he started ETRO in the basement of his home. The company now has 20 projects scheduled for this year, and Maierle and his team are excited to explore potential opportunities in development and technology on these projects. 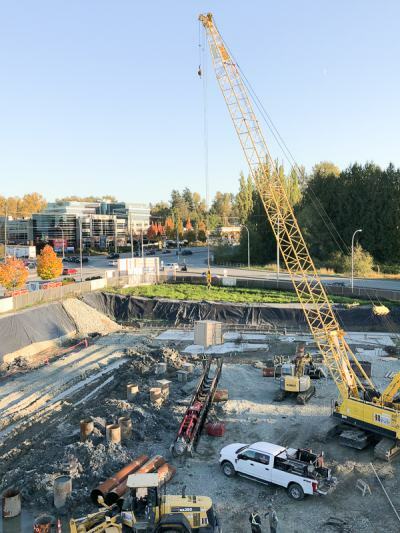 ETRO is currently working with developer PCI Developments Corp on ETRO’s largest project to date, First West Credit Union, which is located on the corner of 88 Avenue West and 200 Street in Langley. 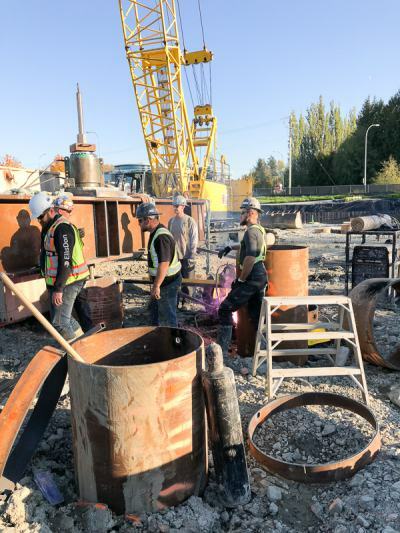 This exciting new addition to the busy area was designed by architect Musson Cattell Mackey Partnership (MCMP) and is slated for completion in early 2020. 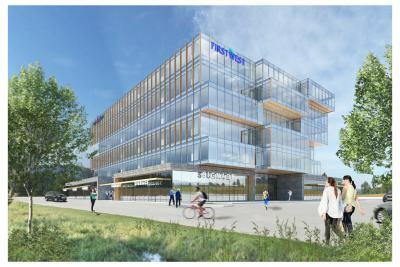 The six-storey First West Credit Union will include retail spaces located on the ground level and five levels of office space above it. 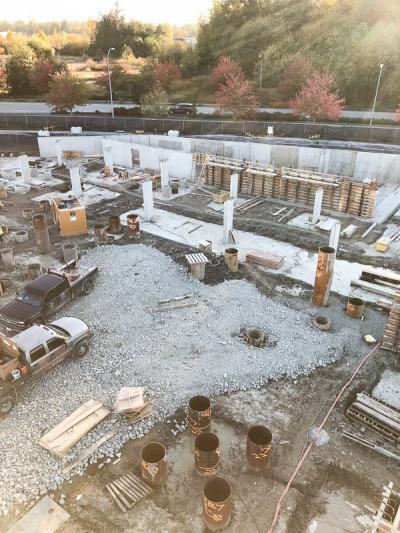 Boasting 105,000 square feet of much-needed parkade space and 130,000 square feet of above-ground space, First West Credit Union’s relocation is slotted to take up two floors. The building will feature an exterior unitized curtainwall system, cementitious panels, woodgrain soffits and glazing fins. 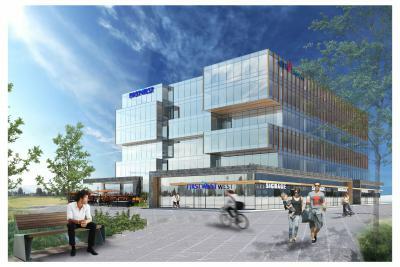 The Tetris-style glazing design of the building will be fitted by long-time VRCA member, Flynn Group of Companies. While ETRO has built a reputation for providing diverse construction services in high-traffic locations, the company is also striving to make a name for itself in the realms of innovative technology and environmental consciousness. 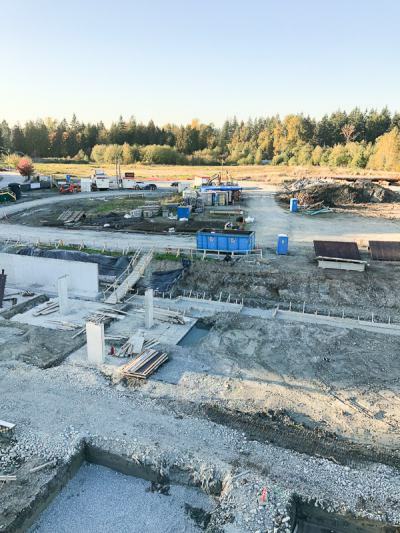 The company leveraged Procore Technologies Inc.’s construction management software to advance its build processing technology and has joined forces on projects with virtual design and construction company Cadmakers to convert all of their existing 2D project drawings to 3D versions. ETRO is also moving towards a green goal of going paperless within the office by the end of 2020. “In 2019, we want to work only in a 3D environment. We are investing in and pushing added value within the delivery process,” said Maierle. He commented that ETRO is not shy about asking its partners to begin their projects in 3D, which allows ETRO to bring all structural, mechanical and overall coordination in-house, including for wood frame projects. Maierle and his team are also interested in stepping into the augmented reality/virtual reality (AR/VR) side of the industrial, commercial, institutional and high-rise residential construction sectors. “By working with artificial intelligence and machine learning, we are working to write algorithms to teach computers to complete the simple tasks people do, such as mining data off of drawings to create instant drafts. We are constantly looking to the net benefit, cutting man hours while maintaining control,” said Maierle. With its commitment to challenging itself as a company and always improving, we look forward to seeing what ETRO will add to the construction industry in the coming years. 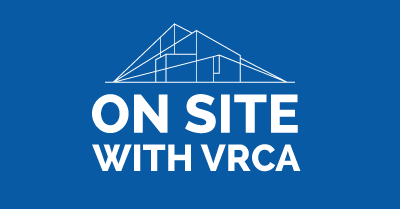 For more information about how you can share your story in “On Site with VRCA” and the benefits of VRCA membership, contact Membership Services at [email protected]. Electrical: Paragon Electrical Installations Ltd.